Building a brand takes time. Penning a stunning sedan can help expedite that process. We recently had the chance to drive both the Genesis G80 and Volvo S90 in recent weeks, two cars with quite a bit in common. They are in the same segment and both offer a nice suite of standard features. They also represent a new beginning for the brands behind them. 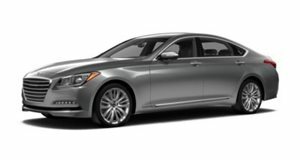 The G80 is literally part of the genesis of Genesis as the second model launched under Hyundai’s new luxury sub-brand. It’s destined to carry the sales load until the G70 arrives. The S90 has an equally big responsibility. In the short term Volvo wants to again sell 100,000 cars in the US. The long-term goal is to prove that the Swedes can run with the best of Europe (aka the Germans). The first goal is within striking distance as the automaker totaled 82,000 sales in the US last year. As we learned after spending a week with the S90 the Swedes are very close to achieving the second part of their mission. You’d think that Genesis has similar goals. However, after spending time in both the G80 and S90 it’s clear the South Koreans could learn a thing or two from the Swedes. During a weekend trip to Sonoma, California, for some wine tasting a funny thing happened that confirmed how far ahead of Genesis Volvo is, at least in one area. I pulled into the parking lot of a community center to search for directions on my phone when a stranger walked up and kindly informed me that he was closing the gates for the night. While walking away he stopped and said, “Nice car.” This was the first time I had ever heard someone who—at least to my knowledge—wasn’t in the auto industry talk about how pretty the Volvo S90 was. It wasn’t the first time I caught someone staring, though. I’d love to have a story to share about the G80 in the same vein but don't. In fact, to my knowledge no one on staff ever had a moment like this while driving the G80. It was anonymous both on the highway and in the parking lot. The interior of the G80 is sharp and made most people think, and rightfully so, that the sedan with tape all over it was a luxury car. The problem is that the exterior design left a lot to be desired. Someone thought it was a Subaru! Volvo has a lot of work left to do in order to prove that it is a class above Japan’s luxury lines and equal with Germany’s. Sales success will come on the backs of crossovers, not sedans. 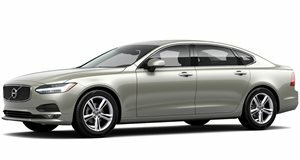 However, when it comes to exterior styling the S90 proves that the Swedes are equal to the Germans in at least one way. The South Koreans played it too safe when they remade the Hyundai Genesis into the Genesis G80 and it has cost them early momentum out the gate. Hopefully the G70 is more S90 than G80 when it debuts.